On Sunday, July 1, recreational use and possession of pot will be legal. H.511 (Act 86) legalizes the possession and gifting of small amounts of cannabis by Vermont residents over 21, and it permits Vermonters to grow their own. The bill allows for the possession of 1 ounce of flowered cannabis, two mature plants, and four immature plants. Growers of pot must either own the property on which they’re cultivating the plants, or have written consent of the owner. The number of plants that can be grown are per dwelling, irrespective of the number of adults living in the dwelling. Plants cannot be in public view. Pot growers may possess whatever they harvest from their plants, even if it exceeds the one-ounce state limit, according to the H.511. The new law does not address the issue of marijuana sales in the state, but the Legislature has produced bills to introduce a tax and regulate a state market, albeit unsuccessfully so far. Vermonters are allowed to travel with up to an ounce but it must be in a sealed container and cannot be used in the vehicle or in public places. The law allows for cannabis confections, as long as the active ingredient in the edibles is not extracted with butane or hexane. “I personally believe that what adults do behind closed doors and on private property is their choice, so long as it does not negatively impact the health and safety of others, especially children,” said Gov. Scott said Monday, Jan. 22, after signing the bill. Vermont will become the ninth state to approve the recreational use of marijuana, but the first to do so through the legislative process. The other states and Washington, D.C., authorized recreational use through a public vote. 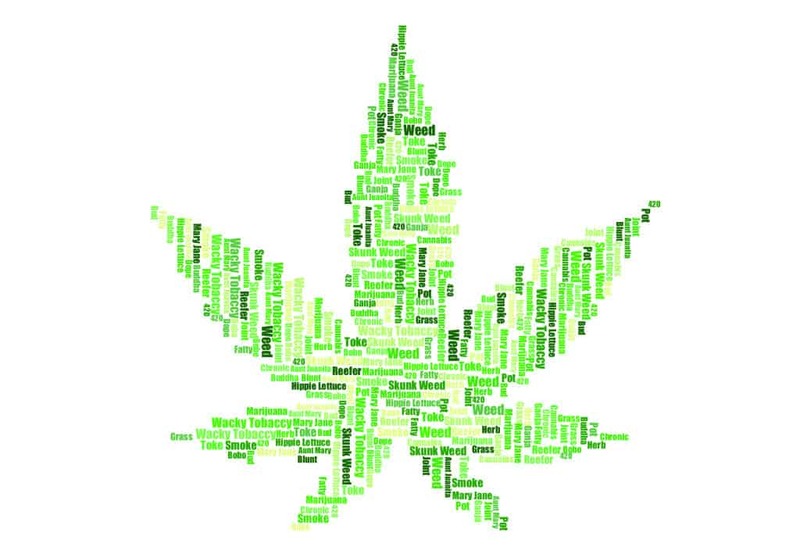 The other states where recreational use of marijuana is legal include: Alaska, California, Colorado, Maine, Massachusetts, Nevada, Oregon and Washington state, plus Washington D.C. Additionally, it is decriminalized in another 13 states plus the U.S. Virgin Islands. In total, 29 states allow sales of marijuana for medical use. Of Vermont’s neighbors, marijuana is legal to use, possess and grow in Maine and Massachusetts and both are working to open legal pot shops this summer, but have faced legislative delays. In New Hampshire, Connecticut and New York medical use is permitted and it has been decriminalized but remains illegal for recreational use, though New York may be the next to legalize. Canada’s Prime Minister Justin Trudeau announced mid-June 2018 that Canada will become the second nation in the world after Uruguay to formally legalize the drug for use, possession, growing and selling. That law will go into effect in mid-October 2018. The Rohrabacher-Farr amendment has significant bipartisan support in Congress, according to the Washington Post. Medical marijuana is highly popular with voters overall. A Quinnipiac poll conducted in April 2017 found it was supported by 94 percent of the public. And nearly three-quarters of voters said they disapprove of the government enforcing federal marijuana laws in states that have legalized it either medically or recreationally. While only time will tell how the new law will impact Vermont, a RAND Corporation study showed Vermonters likely consumed between 15 and 25 metric tons of marijuana and spent between $125 million and $225 million on marijuana in 2014, even though consuming it was illegal during that time. Vermont’s move is an incremental reform that will have little impact for most people in the state, Matt Simon, New England political director for the pro-legalization Marijuana Policy Project, told CBS News. Medical marijuana has been legal in Vermont since 2004 for treatment of specified diseases (see below). In July 2013, Vermont decriminalized marijuana and reduced the penalty for possessing up to 1 ounce of marijuana or up to 5 grams of hash from being a misdemeanor criminal offense to a civil offense. Jan. 22, 2018, Gov. Phil Scott signed bill H. 511 (Act 86) into law, removing penalties for adults age 21 who possess small amounts of marijuana. That law goes into effect July 1, 2018. One ounce of marijuana is legal as are 5 grams of hashish. A person can have two mature marijuana plants or four immature marijuana plants. What if I’m caught growing more than two mature marijuana plants? You could go to prison for six months to 15 years and be fined $500 to $500,000, depending on the amount of marijuana in possession. What if I’m caught driving and smoking marijuana? It’s illegal to drive in Vermont while impaired to the slightest degree. It’s illegal to consume alcohol while driving; it’s also illegal to consume marijuana. Secondhand marijuana smoke in a vehicle is also illegal, meaning it is illegal for a passenger in a vehicle to be using marijuana. No. State officials are anticipating a regulated marijuana market in the future but there is not one as a result of Act 86. Nobody is able to purchase it. However, in other states people have been known to sell T-shirts, Uber rides and cookies and distributing marijuana as a free gift for completing the transaction. Vermont’s law doesn’t address this, said Giguere. Small gifts are permitted, according to the law. I’m not a Vermont resident. Can I consume marijuana here? Yes. Visitors can legally consume marijuana in Vermont. Can I consume it in public? No. You can’t consume marijuana in public spaces, which include streets, parks, alleys, sidewalks or at any public building. You also can’t consume it anyplace that prohibits tobacco use. What about marijuana on school property? The law allows both schools and towns do adopt their own rules around marijuana use. What if I’m caught consuming it in public? You could receive a civil penalty between $100 and $500. The Vermont law specifies that the possession and distribution of needles and syringes is illegal. Therefore, it remains illegal to inject marijuana (yes, that’s a thing!). I’m a Vermont resident. What happens if I go to New Hampshire and use marijuana there? Marijuana is illegal under federal law. If you go to a different state you will be subject to whatever laws and penalties there are in that state. I’m renting a home in Vermont. Can my landlord prohibit me from smoking marijuana? Yes. You should check your lease agreement. I’m not from this country. What laws do I have to follow? Non-citizens could face criminal consequences for growing, possessing, selling or using marijuana. Your visa could be revoked, you could be deported and you could be denied from coming back into this country. Employers aren’t required to accommodate marijuana users. They can adopt policies that prevent their employees from smoking or consuming it at the workplace. My employer fired me for smoking marijuana when I was off the clock. Can I sue? No. If an employer has a zero-tolerance policy for marijuana use, an employee couldn’t sue the employer because they were smoking marijuana, even privately. I have a hemp farm and want to start growing marijuana. Can I do that? It’s unclear. Giguere said there is concern of crops pollinating each other. There may be some guidelines on this in the future. I want to use marijuana for medical treatment. How can I do that? You must apply for a medical marijuana card with the Vermont Department of Public Safety. You can get a card if you have cancer, multiple sclerosis, HIV, AIDS, Parkinson’s, glaucoma, Crohn’s Disease or Post-Traumatic Stress Disorder.